Friends of ours are expecting twins (TWINS!!) next Spring. We met up last weekend and after nattering all things baby for a bit, the mummy-to-be confessed that she felt totally clueless about all the stuff that she’d actually need when the babies arrive. I was exactly the same. And there’s a whole huge industry out there preying on the ignorance of parents-to-be. A proper nappy bin. Okay, it’s not glamorous, but the Tommee Tippee Sangenic Tec Nappy Bin, actually is worth buying. Yes, you have buy refills but you can put a stinky nappy in it and it doesn’t make the whole house pong. A Sling. 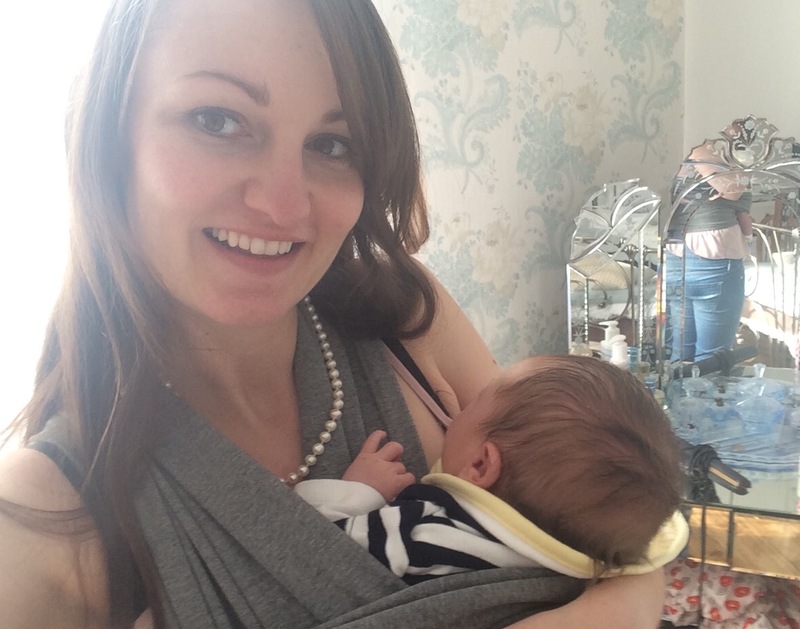 I got a Funky Flamingo sling when Sonny Jim was a couple of weeks old and it changed my life. I had two hands free, while keeping him cuddled up. He napped in it better than anywhere else. A playmat. When they’re teeny and they stay where you put them a colourful playmat is the best thing. A monitor. We didn’t buy our Angelcare AC1100 Digital Video, Movement and Sound Baby Monitor until Sonny Jim was a few months old. It was expensive and I was sure we could manage with something cheaper. We couldn’t. A bottle set. I planned to exclusively breastfeed. It didn’t work. The MAM bottle starter set someone bought me at my baby shower was a godsend. A breast pump. So useful. And so not something you’ll fancy shopping for when your baby is here! SweetDreamers Ewan the dream sheep (or any white noise machine.) It’ll save you resorting youTube videos on your phone. Or your hairdryer. Muslins. There are never enough. Never. I’d love to know what your mummy must-haves were with a newborn. Do let me know in the comments below!